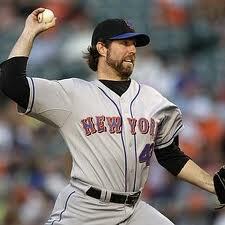 R.A. DICKEY-SP-METS- The 36 year old knuckle baller has been ‘Verlanderesque’, giving up just 3 earned runs in his last three games, all of which he’s won. Dickey has had nine quality starts in a row dating back to July 25th. With his next start scheduled against the offensively challenged Nationals, Dickey, owned in just 20% of Yahoo! leagues, is a must streamer. WADE MILEY-SP-DIAMONDBACKS- Miley, for those of you scratching your heads, is a rookie who’s only pitched in four major league games. The 24 year old lefty has done an admirable job thus far. Discounting his debut vs. the Braves, where he had a case of the jitters, the next 3 games he pitched were gems. He gave up 2 earned runs or less in each of them and won all three. He goes against the Pods on Saturday, at home. ZACH BRITTON-SP-ORIOLES- Even though Britton has had to face the Yankees twice in his last four games, the 23 year old- 3rd round pick of the Orioles fared pretty well, striking out 17 in 23 innings. 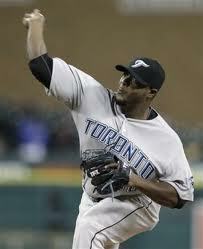 He also won the last 3 out of 4 games- his lone loss coming vs the Bronx Bombers. His next start is against the Rays who Britton beat 3-2 last Friday. Available in 83% of Yahoo! leagues, he is ‘streamer ready’. 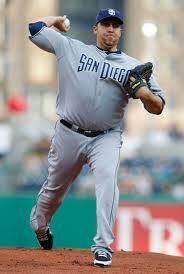 AARON HARANG-SP-PADRES- Sporting a 13-5 record, we’re not sure why is is only owned in 39% of Yahoo! leagues. Harang, in his last 4 games, has given up just 2 earned runs or less and has struck out 24 in 26 innings pitched. His next start will be on Monday in San Francisco vs the Giants who Harang just beat 3-1 yesterday, giving up 1 run in 7 innings on just 4 hits. Grab him if you still can. FRANK FRANCISCO-RP-BLUE JAYS- Although Francisco’s ERA (3.76) and WHIP (1.39) are a bit too hefty for a closer, we think if you’re looking for some cheap saves down the stretch, then he’s your man. In his last 6 appearances, in a total of 7 innings, Francisco has given up a total of just 2 earned runs while he has collected 3 saves. His last blown save was back on July 1st vs the Phillies. He is currently owned in 43% of Yahoo! leagues.